This product is one of the hottest health trends in recent years. Rarely do you have a fruit - a "superfruit" actually - that packs this much nutrition into such a delicious little package. Nutritionally, goji berries are an amazing source of vitamin C, beta carotene, polysaccharides, amino acids, zinc, copper, and many other nutrients. In traditional Chinese Medicine (TCM), goji is renowned as the premier adaptogen, meaning it can help the body to adapt to changes and stress (in Asia, no adaptogen is more revered than goji). TCM practitioners value the goji berry for enhanced immune function, increased energy, and enhanced mental clairty and perception. 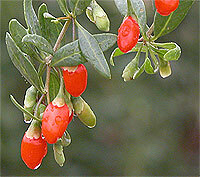 The goji berry is also considered to be a tonic in that it helps to keep the vital organs and energies in tone. TCM has identified some herbs as liver tonics, and others as kidney tonics. But goji is held in such high regard that it has been deemed a supertonic, meaning it can help to balance the structures and functions of the entire body. 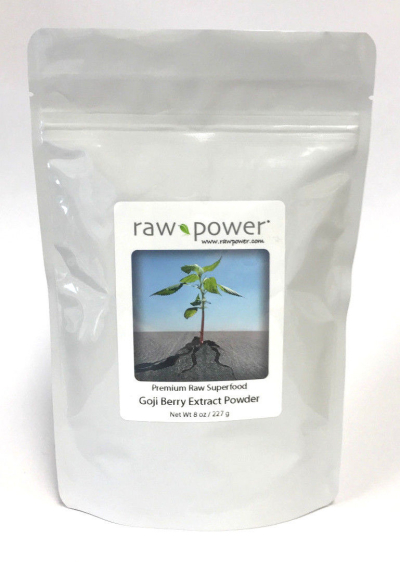 Using goji berry extract powder is easy: just add it to your favorite drink, smoothie, or tea. During harvest season, organic Goji Berries are hand-picked, shaken onto mats, washed, inspected and then sent to the organic extraction facility. Upon delivery the berries are juiced, then the juice is dried in a proprietary low-temperature process that results in a fine powder. Because of the careful selection process and extraction methods, every batch of this product is guaranteed to have at least 20% polysaccharides (compounds that may help fortify the immune system). A polysaccharide found in this fruit has been found to be a powerful secretagogue (a substance that can stimulate the secretion of rejuvenative human growth hormone by the pituitary gland). 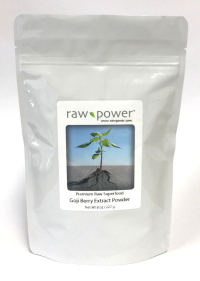 This goji berry extract is very concentrated (so you don't need to use much): it takes 14 pounds of fresh goji berries to make one pound of this extract.